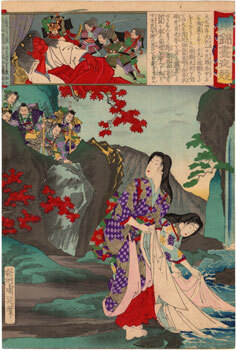 Minamoto no Raiko (源らいこう) wanders the paths of Mount Oe (大江山) accompanied by the four legendary samurai at his service, the Shitenno (四天王) or the "four heavenly kings", in search of Shutendoji (酒呑童子), a monstrous oni (鬼) at the head of an army of demons, visible in the upper part of the work. 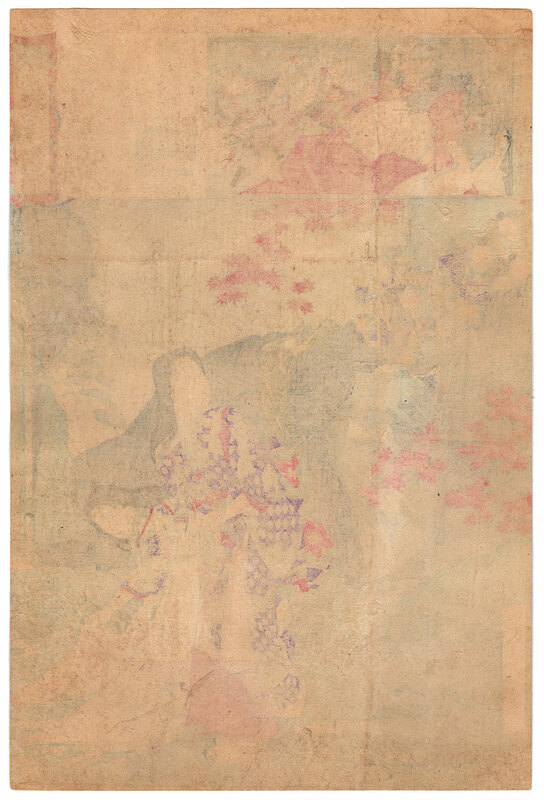 In the main frame of this fine print by the famous artist Toyohara Chikanobu (豊原周延) we see the five warriors who, disguised as ascetics monks yamabushi (山伏), are asking for directions to a couple of washerwomen. 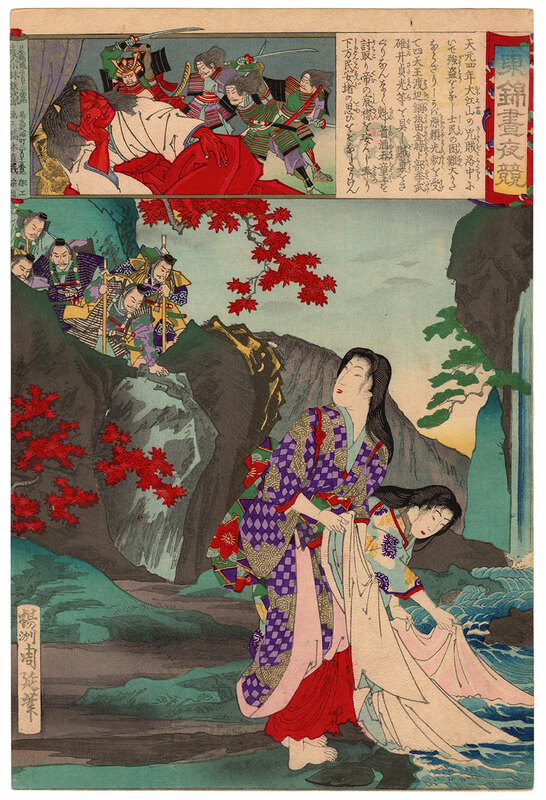 The folk figure of Raiko is based on the historical figure of Minamoto no Yorimitsu (源頼光), one of the first members of the Minamoto clan (源氏) of which there is a historical source and that, out of the myth, when he was at the service of the Fujiwara clan (藤原氏) also distinguished himself for having repressed the bandits who raided the territories of Mount Oe. 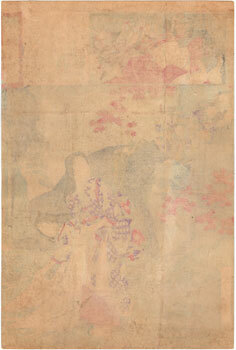 The woodblock print, edited in 1886 by the pubisher Kobayashi Tetsujiro (小林鉄次郎), is taken from the series "Embroidery Pictures, Comparison of the Day and the Night" (東錦昼夜競) and, despite the right signs of the time and the trimming of margins, is in good general condition, thanks also to an ancient relining carried out on the back.